Divers from all over the world flock to Raja Ampat to experience its incredible reef ecosystems - home to more marine species than anywhere else on the planet. But few realise it is also frequented by at least 16 species of whale and dolphin, including sperm whales, blue whales and pilot whales. The Raja Ampat archipelago in far eastern Indonesia is world-renowned for its beautiful and unique marine ecosystems - thought to the be the pinnacle of marine bioidiversity on the planet. But its marine mammals have not received much attention despite the fact that half of the 31 whale and dolphin species found in all of Indonesia — 16 different types — are regularly observed there. 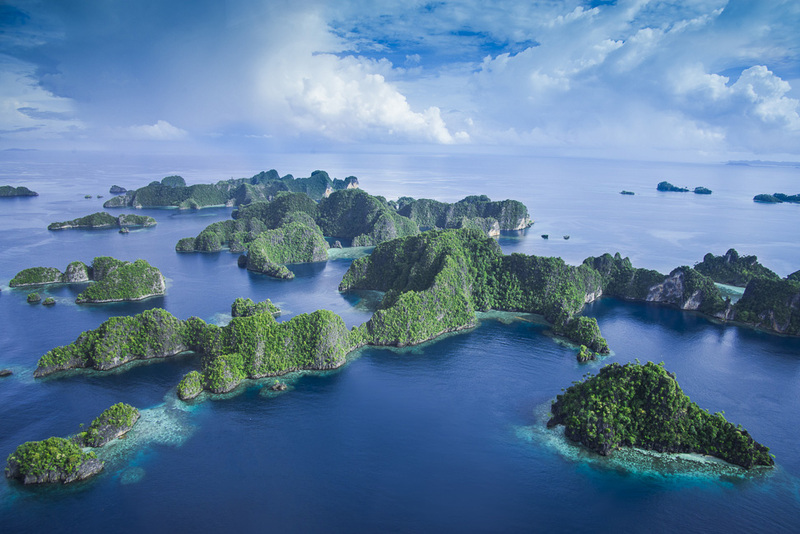 Raja Ampat, or “four kings,” consists of hundreds of islands, although the four largest dominate: Waigeo, Batanta, Salawati, and Misool. The archipelago’s Dampier and Sagewin Straits host major oceanic and biomass exchanges between the Indian and Pacific Oceans, making Raja Ampat a major transit point for megafauna like whales and dolphins. Our preliminary research indicates that multiple species are feeding, mating, and calving in the area, making Raja Ampat a critical habitat for whales. However, a designated long-term study of the behavior of whales and dolphins there has yet to be conducted. We don’t know much about them; more to the point, we don’t know how to effectively protect them. Whales play a key role in the health of marine ecosystems, from predator-prey interactions to fertilization through prodigious amounts of poop and upwelling of deep-sea nutrients. Across Raja Ampat, small dolphins are numerous; these predators influence fish populations, and at the same time they are preyed upon by large sharks and killer whales. 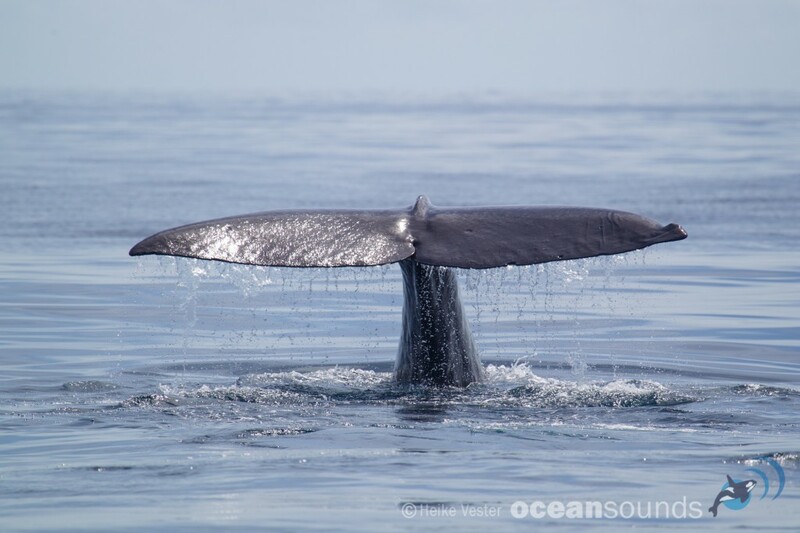 Sperm, Baleen, and other large whales bring nutrients from their 3,000-meter-deep dives to the ocean’s surface, adding essential nutrients and supporting a healthy marine ecosystem. In Raja Ampat, both sperm whales (Physeter macrocephalus) and Bryde’s whales (Balaenoptera brydei) are seen regularly and in great numbers; their role in the health of the marine ecosystem in Raja Ampat is profound. Usually marine mammals are found in cold, nutrient-rich waters near the poles. Although many whales and dolphins make long migrations between polar feeding grounds and breeding grounds closer to the equator, we did not expect the rich abundance of whales and dolphins in Raja Ampat. In January 2015, equipped with a camera and hydrophone to record whale sounds, we went out into Raja Ampat’s Dampier Strait, and to our shock, found 15 different species of whales, dolphins, and dugong in the first week. On every boat trip out we encountered small Indo-Pacific bottlenose dolphins (Tursiops aduncus). More numerous were the oceanic dolphins, such as the acrobatic spinner dolphins and spotted dolphins which can travel in packs of over 1,000! 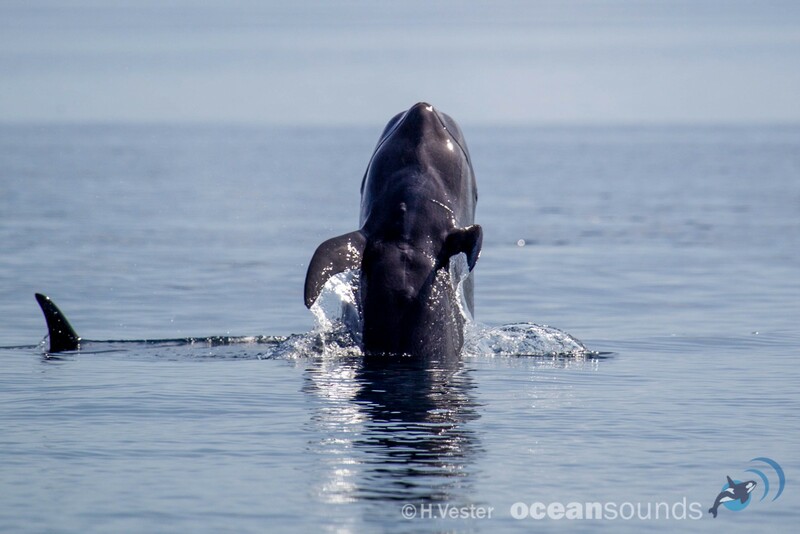 We encountered large groups of short-finned pilot whales (Globicephala macrorhynchus) feeding on squid; they were often accompanied by bottlenose dolphins, Fraser’s dolphins (Lagenodelphis hosei), and even pygmy killer whales (Feresa attenuata). We found Bryde’s whales: filter-feeders of the Baleen family that consume plankton and small fish. We also saw pods of sperm whales: these huge mammals, as well as Bryde’s whales, were observed mating and calving in previously unknown feeding and breeding grounds, with peak activity between December and early March. We even encountered a large adult killer whale (Orcinus orca) in the Dampier: these are rare in tropical waters, but two pods have been spotted. In Raja Ampat they feed on manta rays, dolphins, and newborn Bryde’s whales. Negative impacts on cetaceans were also observed. Whales are scarred from boat collisions; some dorsal fins were completely severed. Boat traffic, especially from large speed boats and ferries, are a major threat to cetaceans in the Dampier Strait; the daily Sorong–Waisai passenger ferry nearly collided with a sperm whale when we were on it. The need to educate people using the strait, and establish protocols for shipping traffic, is obvious, as is the need to introduce and regulate whale-watching tourism, so that locals can benefit from the giants in their neighborhood. In order to assess the health of Raja Ampat’s biodiversity, and the Bird’s Head ecosystem — that off the northwestern coast of New Guinea island — more broadly, it is essential to both protect and study whales and dolphins. In the coming years, the University of Papua and Ocean Sounds, an international NGO, will be doing so, in order to better understand cetacean life cycles and behaviors, and ultimately, to create protection plans. We’ll be tracking individual whales through non-invasive photo identification and the building of databases that will ultimately show the routes by which whales travel throughout Indonesia. We intend to establish a marine research station in Raja Ampat, not only to conduct research, but also to teach people about whales and dolphins.